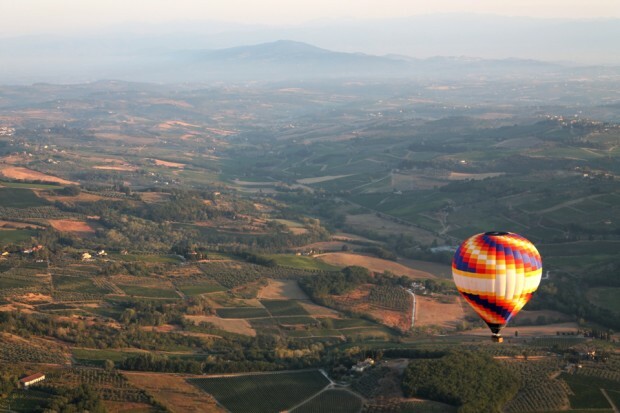 We offer balloon flights from our base near San Casciano Val di Pesa, 20 minutes drive South of Florence, occasionally we take off also from Florence city South. We fly over the legendary Chianti landscape with its hill-top towns, castles, famous vineyards, olive groves and mixed woodlands. On clear days in the distance you can see Florence to the North and the Apennine mountain range in the background, to the West you can see the Elsa valley, San Gimignano, Certaldo and Volterra and on high altitude flights even the sea and Elba island in the far distance; to the South, Poggibonsi, Colle Val d’Elsa and Siena and Monte Amiata in the distance; to the East the higher ‘Monti del Chianti’ and mixed oak woodlands. 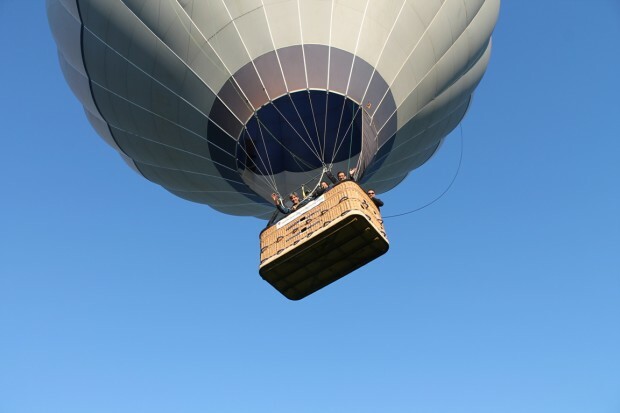 We also offer ballooning in Siena and the surrounding area Buonconvento, Montepulciano, Pienza and Monteriggioni, San Gimignano, Volterra. Further North we fly also near the ancient city of Lucca giving you the unique opportunity to admire these cities from the air. Your ballooning adventure will include an unforgettable flight of about one hour with spectacular panoramic views, after landing a traditional ballooning ‘Prosecco’ breakfast/brunch featuring locally grown cuisine (including local breads, sheep cheeses made on our family’s property and our own delicious olive oil)..
We are the number one balloon rides company in Italy and Switzerland which operates as Balloon Team Italia -Balloon Team SA, synonymous for excellent personal service. We fly passengers from all over the globe and our crew speaks multiple languages. We operate all year round, while we mostly fly in summer, the autumn and early winter months are becoming increasingly popular. Flights on clear winter mornings can be breathtaking.